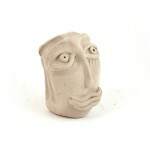 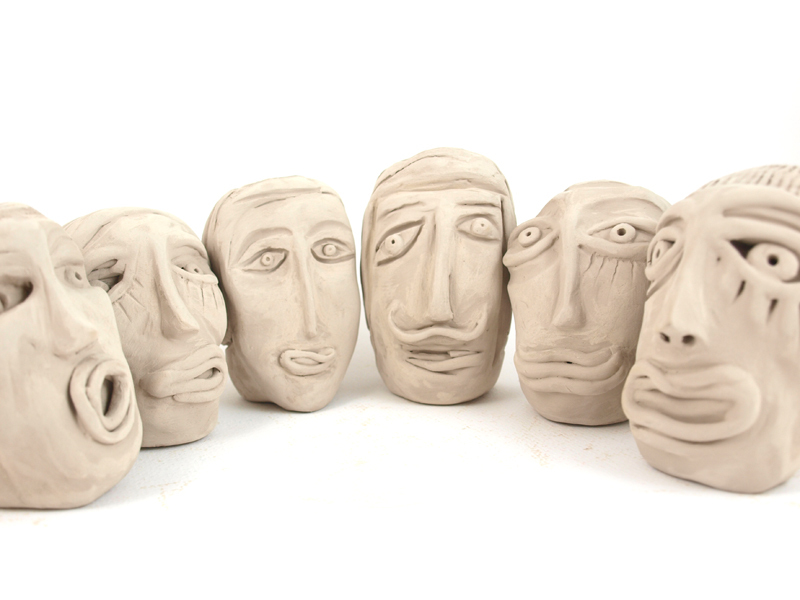 These are five handmade ceramic sculptures. 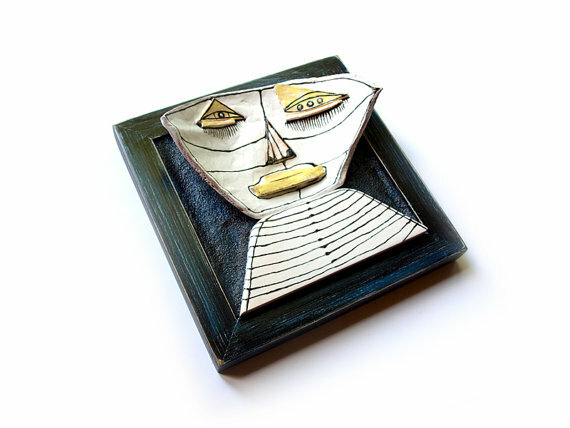 They are placed on wooden blocks in pastel colors. 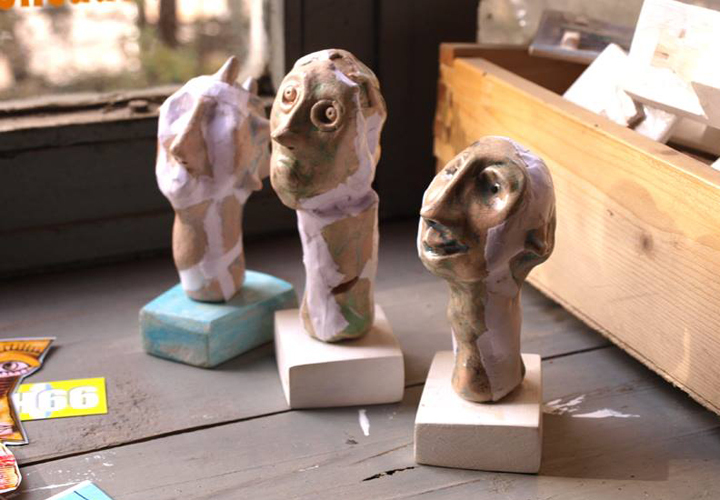 After that the heads are colored with white ceramic glaze and finally decorated with acrylic ceramic paints. 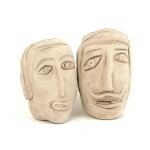 You can arrange them as you wish or place them in different situations and theme combinations. 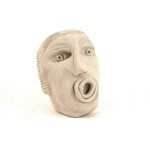 You can buy the whole collection or choose the different combinations we offer you. 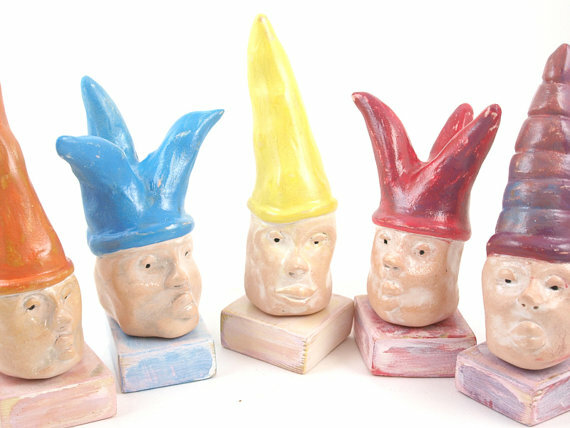 Also you can buy one of the figures. 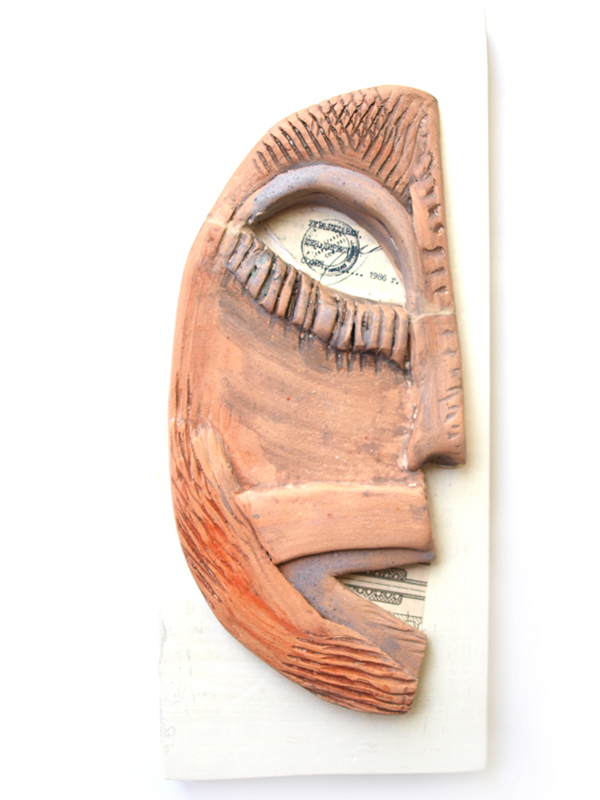 All sculptures have tags at the bottom of the wooden block. 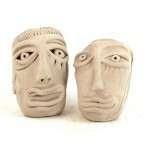 They are suitable for your collection or they can be an amazing gift. 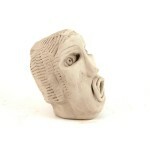 The horror mask is made in our studio 99heads. 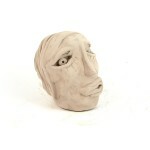 We used 2 basic materials: wood and white clay. 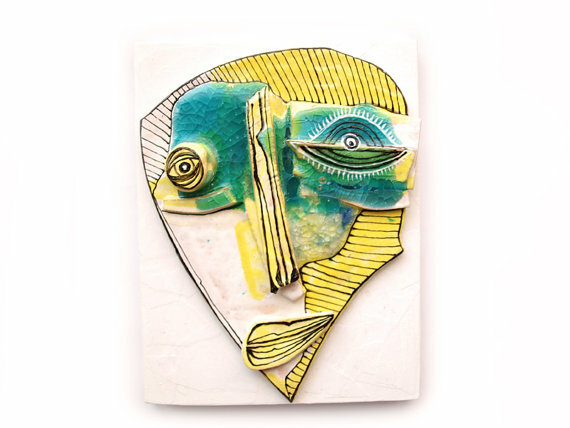 This work of art is entirely handmade and unique. 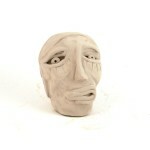 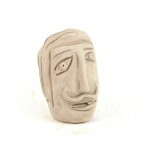 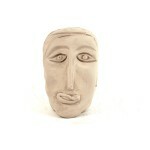 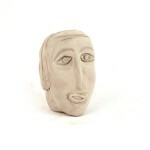 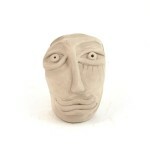 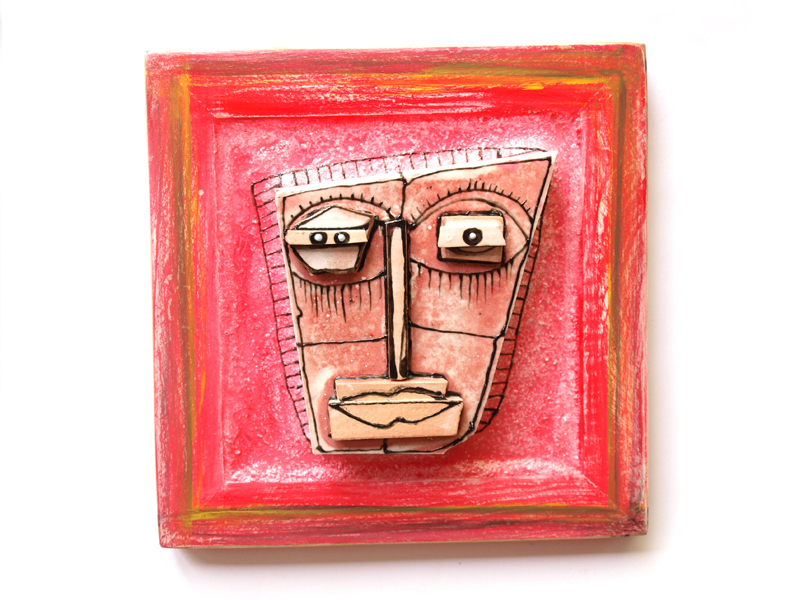 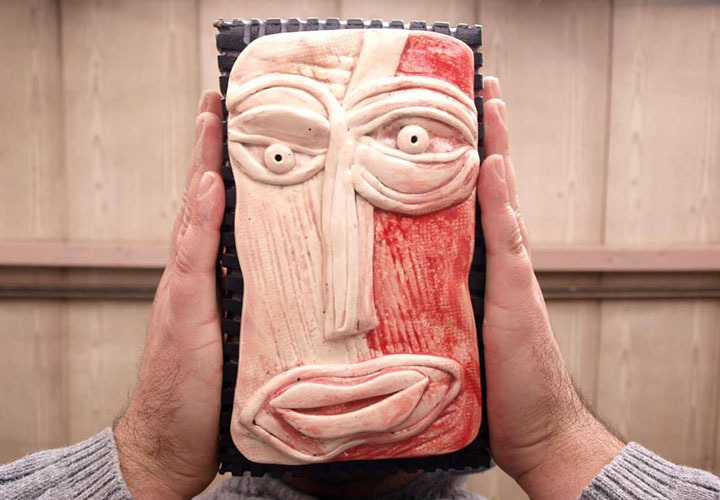 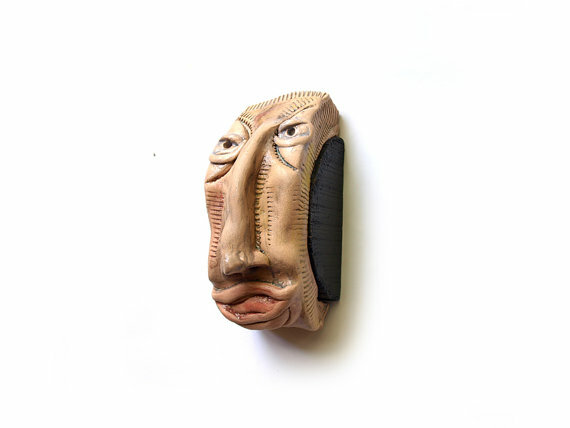 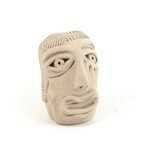 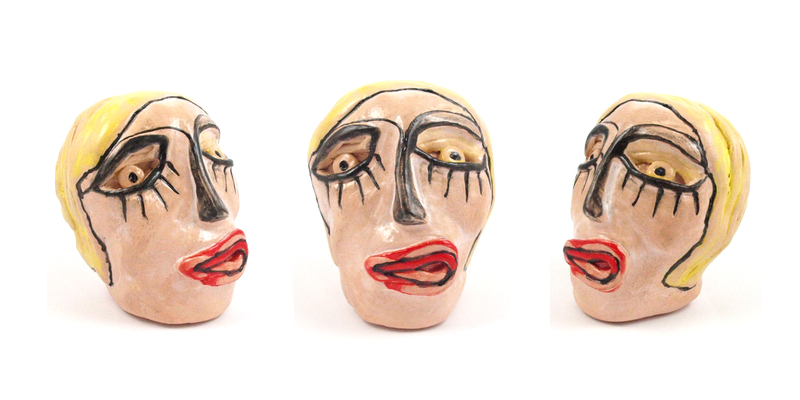 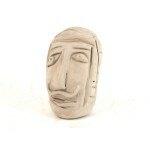 The head is made of clay and colored with ceramic glazes and ceramic paint. 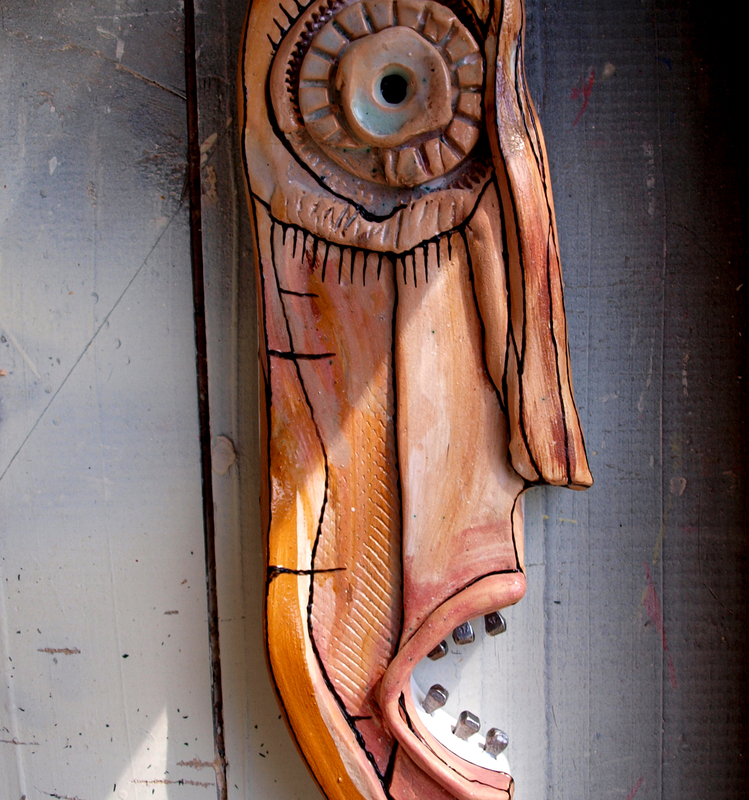 The mask is signed 99heads on the back, where there is a hook for easy hanging. 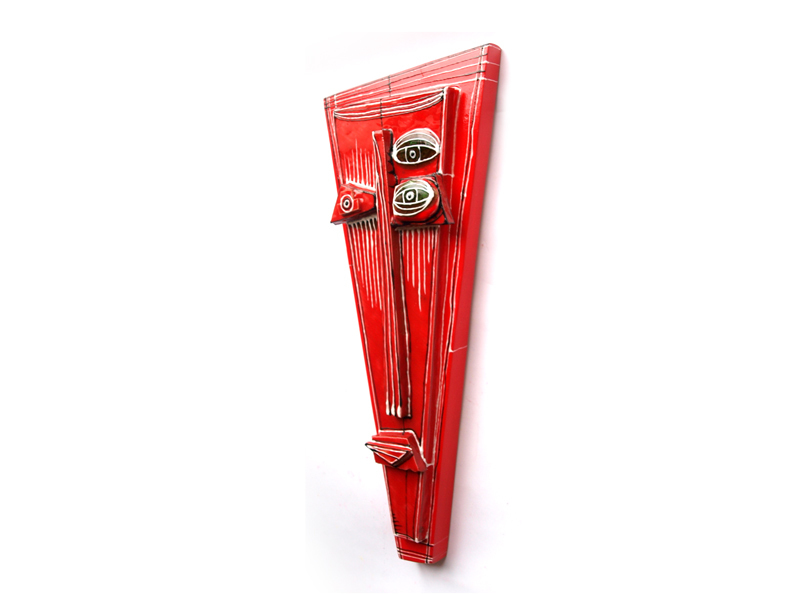 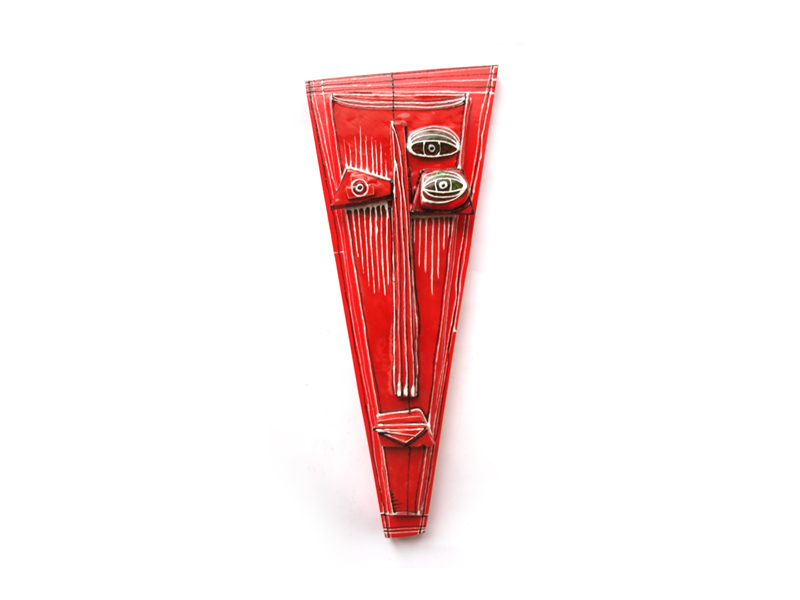 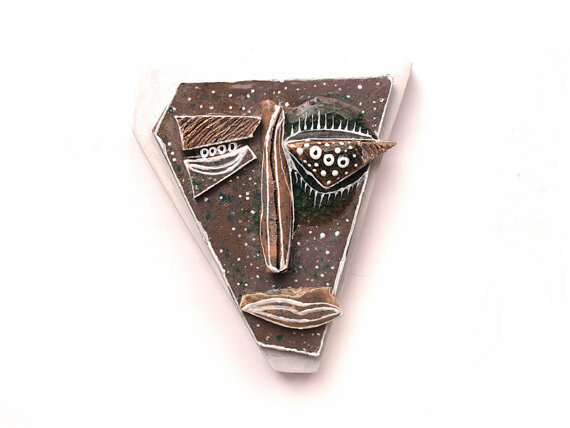 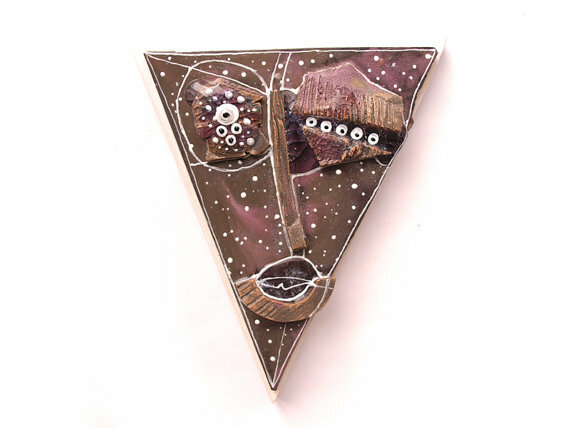 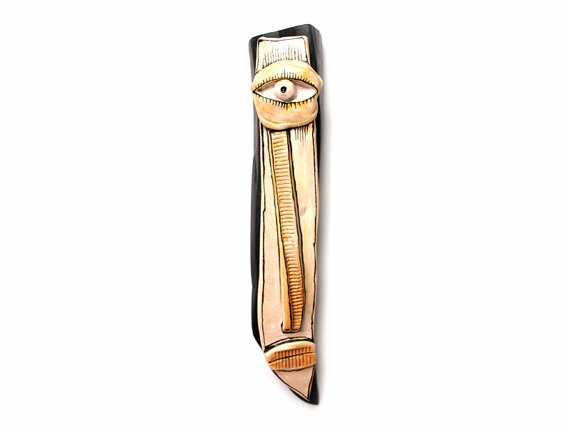 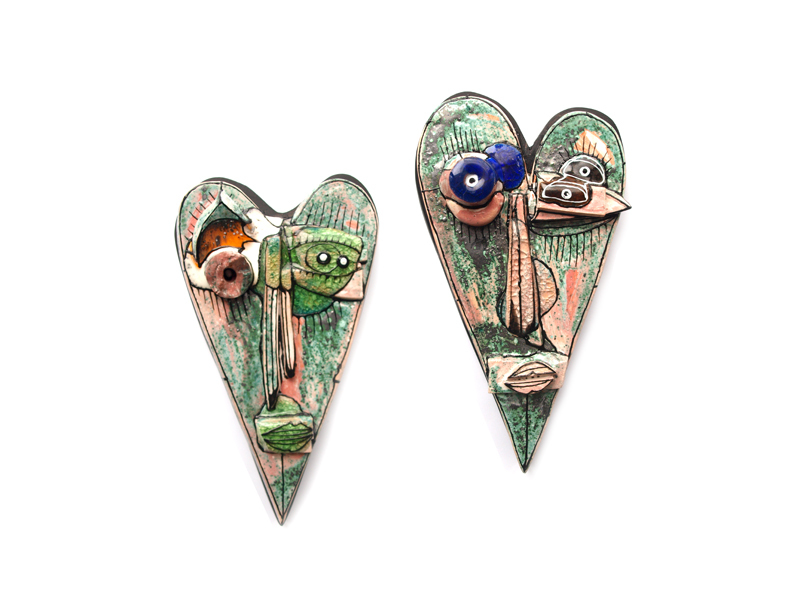 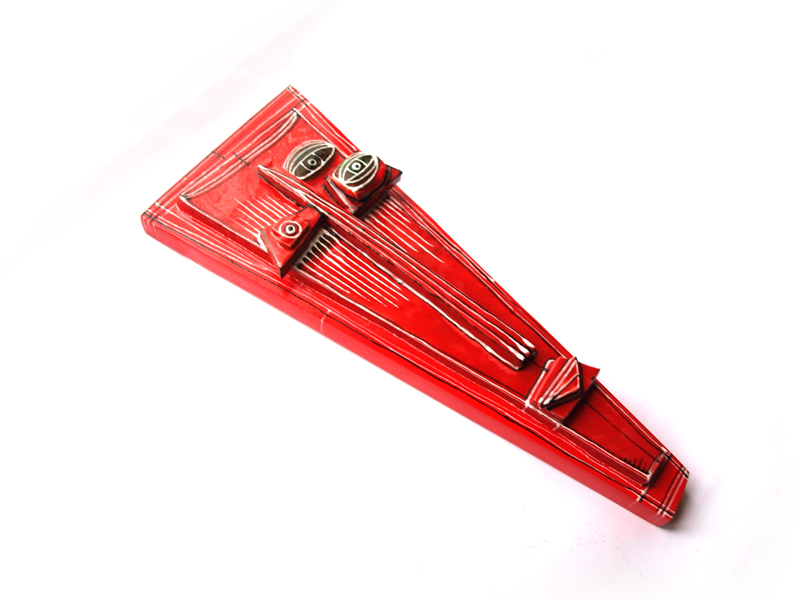 Ceramic elements , ceramic glaze, metal, wood. 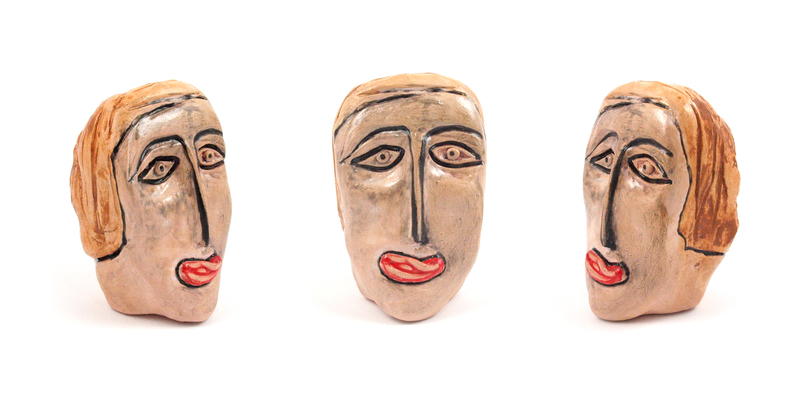 White clay, ceramic glaze, wooden. 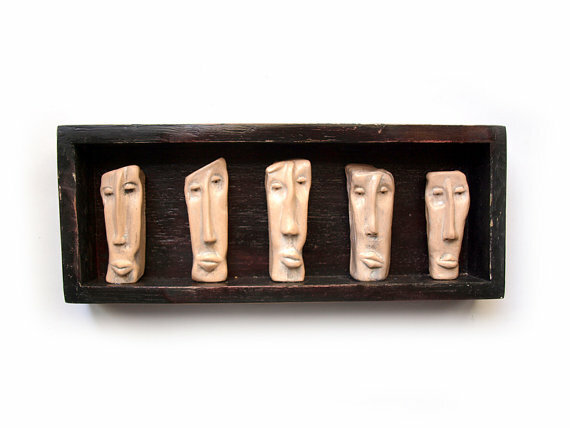 This is a special edition shadowbox art, created in honor of 99heads. 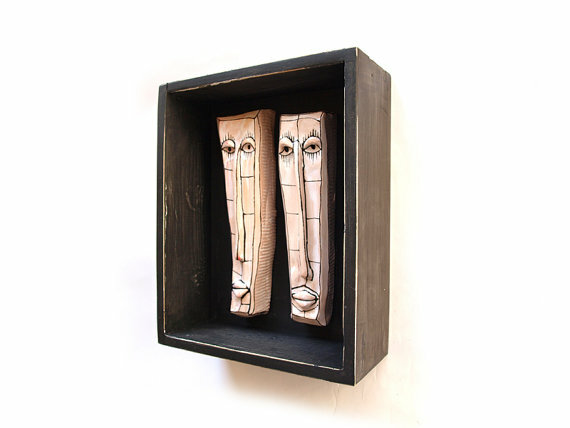 This 3D wall art is created using a black wooden box (of course) and 5 ceramic faces glued inside of it, creating the shadow box effect. 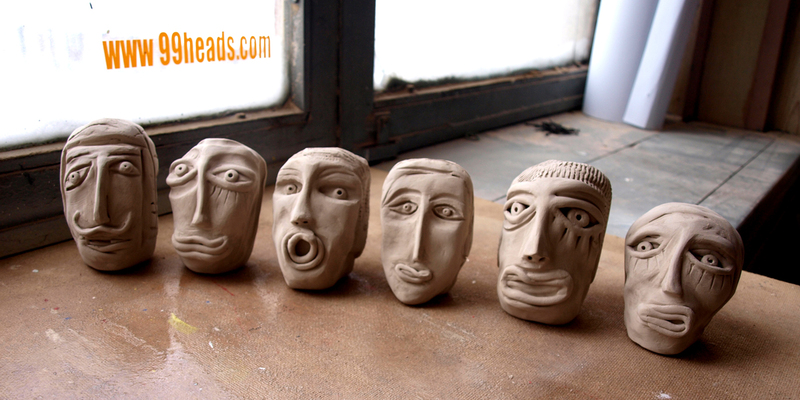 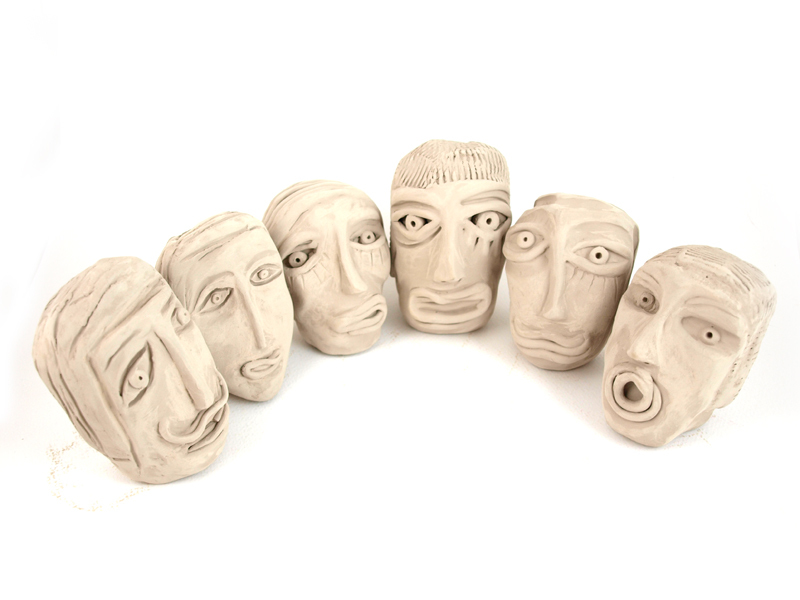 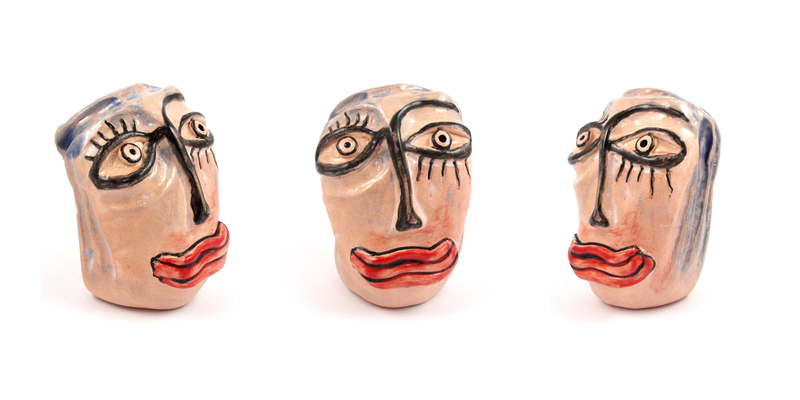 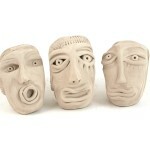 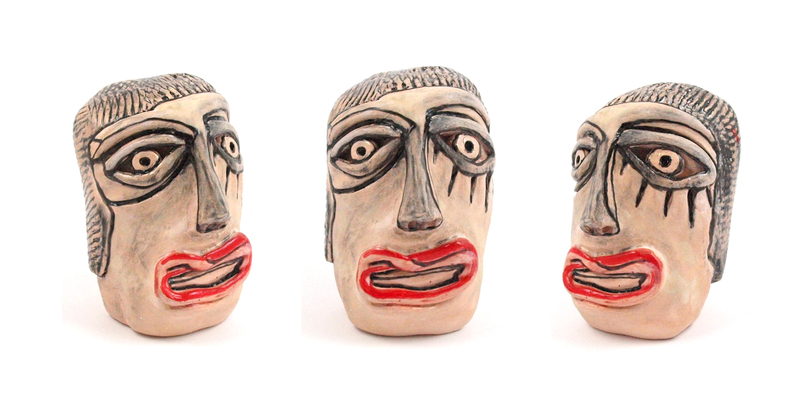 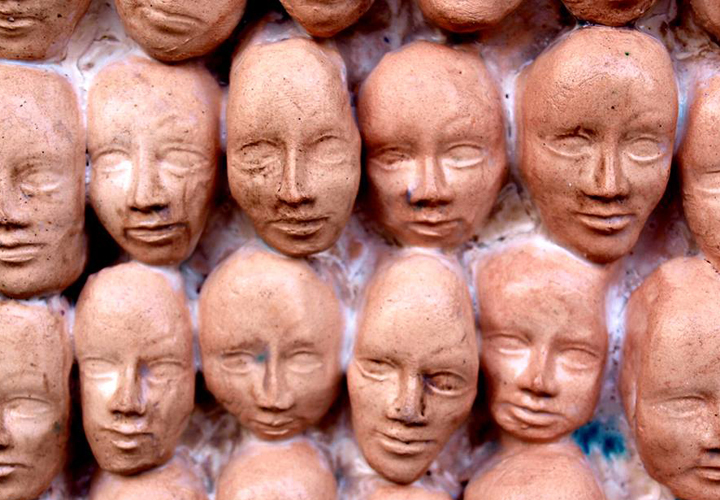 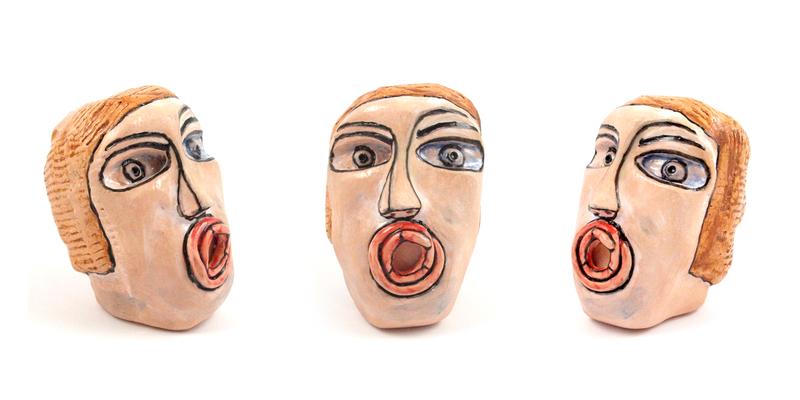 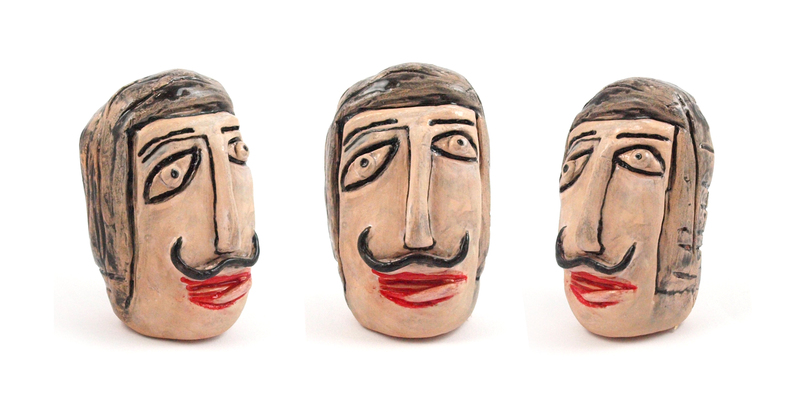 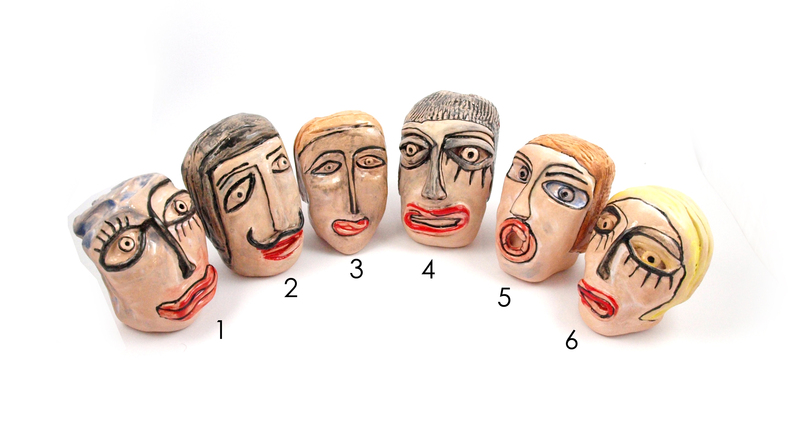 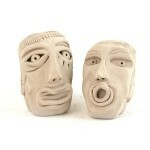 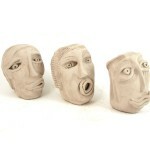 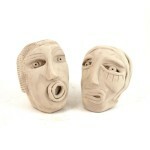 The ceramic faces are left in their natural ceramic color. 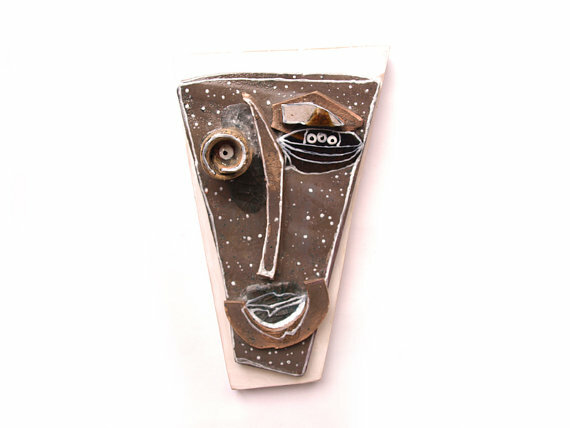 Indeed, the whole concept of this gorgeous masterpiece is pretty basic and natural, which is why it is perfect for a gift or for your personal collection.